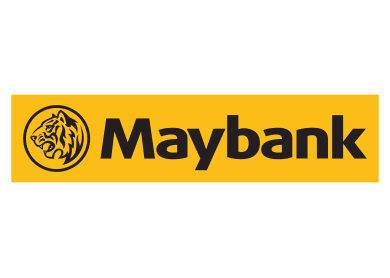 KUALA LUMPUR (Mar 26): Malayan Banking Bhd (Maybank) was named the “Best Bank Brand in Malaysia” by Brand Finance for its Global 500 League Table Report 2015. It was also the only homegrown financial institution to be included in the annual research by the international brand valuation consultancy. The data collected by Brand Finance were based on three criteria – branded business, brand contribution and brand value, where each benchmark focused on different segments of the business such as the value that the brand provides to the business from volume and price premiums. Maybank achieved a brand rating of AA+ in 2015, moving up to the 91st spot from 93rd last year. "The acknowledgement has solidified Maybank’s position as the top financial services provider in the country and one of the biggest in Asean, with brand value almost doubled to US$2.24 billion compared with 2010," said Maybank in a statement. Its group chief marketing officer Mohamed Adam Wee Abdullah said the achievement is testimony to the group’s longstanding tradition of value creation for stakeholders and its commitment to be at the heart of the community. “The recognition reflects the strong franchise that Maybank enjoys in the region and the brand equity that we have built over the years through our focus on advising and providing our customers the right financial solutions to suit their needs, as well as our efforts to engage the community through our various corporate responsibility initiatives,” he said. “We will continue to focus on brand building through a holistic programme that includes consistent customer experience across our global network, innovative products, sound financial performance and differentiated marketing programmes,” he added.